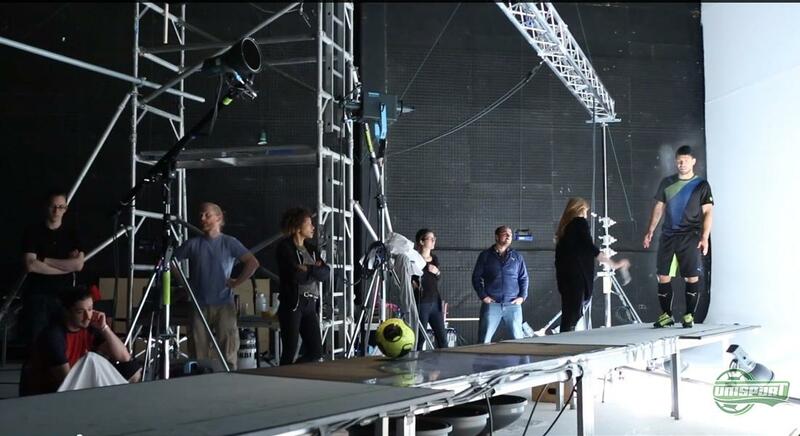 Puma invites you to go behind the camera in a new video, where they are shooting product pictures for the Puma Powercat and the Puma evoSPEED, starring Cesc Fabregas and Sergio Agüero. Come along and see how it went down right here. 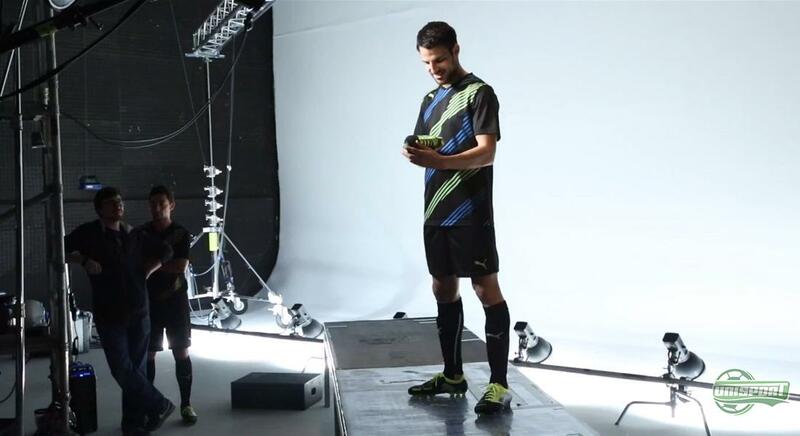 If you are a photographer and are looking to shoot some exciting pictures, it is not a bad starting point to have Cesc Fagregas and Sergio Agüero in the studio with a pair of Puma Powercats and Puma evoSPEED 1.2s on their feet. 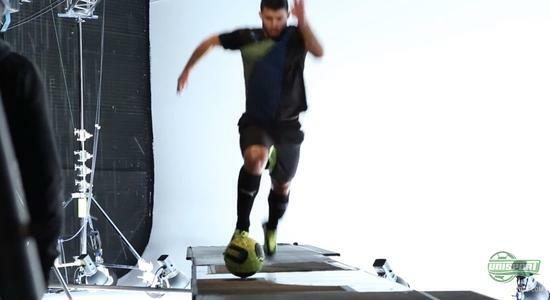 The Puma photographers also look like they are enjoying their visitors and in this new video Puma take you behind the scenes as they shoot Fabregas and Agüero. Cesc Fabregas is known for his ability to find the back of the net, and in this video Puma have also put up a net; although this time the net is there to protect their expensive camera equipment from from Fabregas' powerful strikes. Anyhow, the Barcelona player still jokes about putting the ball through the net with his next strike. The solid confidence displayed by Fabregas may be a result of the Puma Powercat boots that he is wearing, which are developed to be powerful and improve your striking. The new Puma Powercat is the second generation of the powerful powerboot, and it has already gotten quite a lot of attention due to its impressive abilities, which we have also seen on the feet of Dortmund's German midfield profile, Marco Reuss. Where the Powercat is raw and powerful, it can not boast the same speed, as the Puma evoSPEED 1.2, which is Puma's speed boot. With just 185 grams, Puma have truly created a boot that is made for speed, and speedy it indeed is. Therefore, one can only agree that the evoSPEED suits Sergio Agüero perfectly, as he is a man known for his speed on the pitch. It also looks as if the Puma photographers have been in need to bring out there very fastest cameras in order to catch Agüero's lightning fast and precise movements. 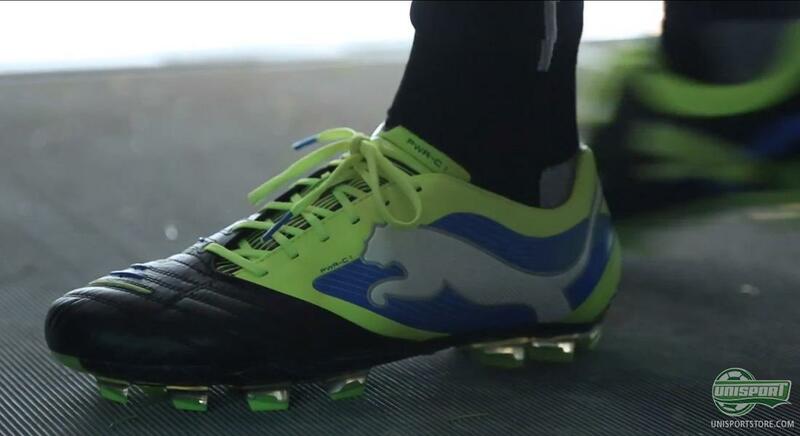 Are you looking to empower your strikes like Fabregas, then you can see much more of the Puma Powercat right here. Are you instead more into speed, similar to Sergio Agüero, the you can check out the Puma evoSPEED 1.2 right here. Both Puma Powercat and Puma evoSPEED are outstanding boots, and surely Puma are proud to see the boots on the feet of stars like Cesc Fabregas and Sergio Agüero. What do you think of the Puma Powercat and the Puma evoSPEED? And which of the boots would you prefer to stick your feet into? Feel free to leave a comment here, or on Facebook and Twitter.